I received several comments from “Friends” who commented on last week’s Post. Such comments are both reassuring, encouraging, and certainly very much appreciated. regarding lives being changed by what we do. Principal Johnson has worked with students on a daily basis throughout her career and has seen first-hand her actions making a difference. As the top school administrator, she has been the leader of others working on the “front-line”. We are very honored and happy to have “Friends” supporting the Learning Center representing this profession. I want to highlight “educators” this week because of the overall impact educators have had on the work and success of “Friends of Copey” since its beginning. To make this point, I can highlight a few significant examples of educators contributing to our overall success over the past twelve months alone. 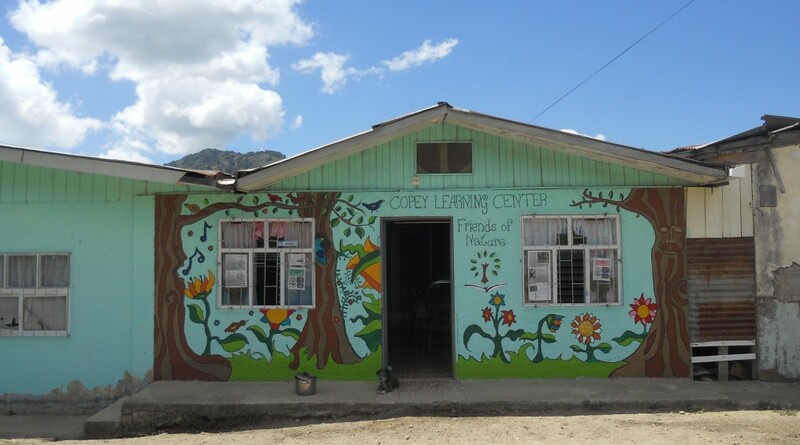 The 400 pounds of school supplies collected and delivered to the Copey Learning Center was spearheaded by educators. The “Pathway Project” support base is centered around the interest and commitment of several educators along with the E&H College (education) staff and faculty. Jane Rutledge, retired educator volunteered three months as a teacher at the Learning Center…a true “difference maker”. And, more than 50% of the overall donor support comes from the education community for all three annual fundraising campaigns. Clearly, educators are deeply involved. The second week of November is “National Education Week” and I plan to mark my calendar to remind me to observe those who have been and those who continue to make a difference on the “front-line”. I received a couple of comments about the challenge issued to “share” the story with friends news about the Copey Learning Center and become a more active “Friend”. One comment suggested “Friends” could respond to my challenge by adding the link to my Post to their Facebook Page each week. Apparently, this is not difficult to do and is a very efficient way to share the news with your friends. With little effort, this would/could be a very positive way to help and support the Learning Center. As I learned by sharing the news with a total stranger on an airplane, the unimaginable could happen! You are doing something very special and very unique. There is no good reason to not share with others how well the project and support is going. It is well worth sharing when appropriate. ← “Light Up Your Candle…!